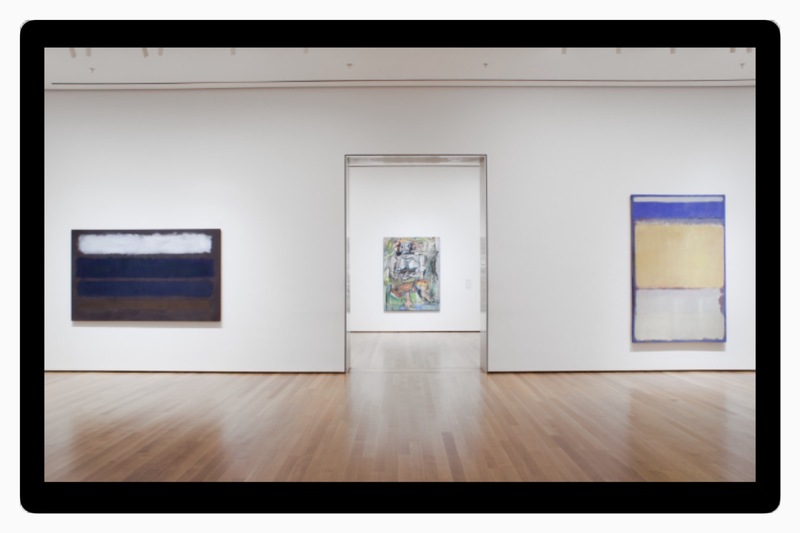 I viewed Mark Rothko’s paintings in 2011 at the Art Gallery of Ontario (AGO)’s Abstract Expressionism: New York show (AbEx). The AbEx show featured Pollock, Motherwell, de Kooning, Barnette Newman, Joan Mitchell and Franz Kline and others. 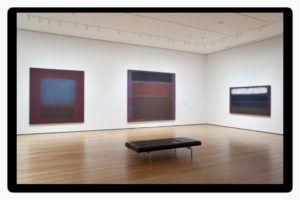 Featured in the photos are Rothko paintings displayed at MoMA. Many recognize this ‘type’ of painting as simplistic and repetitive, and I can understand, when viewed as a small thumbnail picture in this post, I agree that the impact of the work does not come through. For Rothko, “a painting is not a picture of an experience, it is an experience”. These experiences are unique to the viewer and differ from viewer to viewer and from viewing to viewing. I remember visiting the AGO that day in 2011, and when wandering the gallery, I paused many times in front of the Rothko paintings. 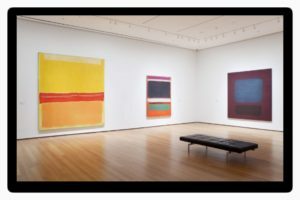 I naturally that day, seemed to be able to exist with the Rothko paintings, without judgment – without me judging the paintings and without the paintings gazing at me. I wanted to sit down and was grateful to see that there was an ottoman in the room. I enjoyed my time with Rothko and appreciated the assistance of the benches. I recommend checking out the AGO’s upcoming exhibitions here (link). If you’re interested in seeing 3 or more shows, I recommend buying a year membership because the price is comparable and membership also allows you to visit the gallery on less busy members only evenings along with many other fabulous benefits. “Painting is a means of feeling” Joan Mitchell.